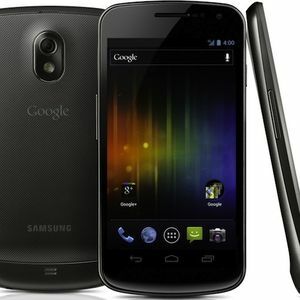 The Samsung Galaxy Nexus is Google’s third Nexus device, and was the first Android phone to feature Android 4.0 Ice Cream Sandwich. It was also the first Android device to feature on-screen virtual buttons, rather than the more traditional hardware-based buttons found on all previous hardware. The Galaxy Nexus has a 4.65” HD Super AMOLED 720p display featuring the PenTile matrix and curved glass. It also has NFC support to be able to work with Google Wallet and as Android Beam. The dual-core TI OMAP 4460 in the Galaxy Nexus clocks in at 1.2GHz, and is backed by 1 GB of RAM.